Unbelievably rare form of Large scottish Quaich ( this size used as a loving cup). 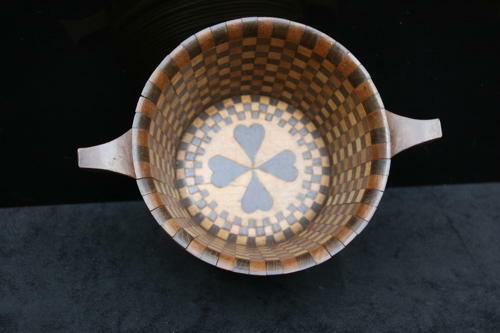 Rare, due to the internal inlaid chequerboard pattern with four conjoined hearts to the base. This must have prooved too time consuming and too costly to produce thus making very few known examples. Scottish first quarter of the 19th century.